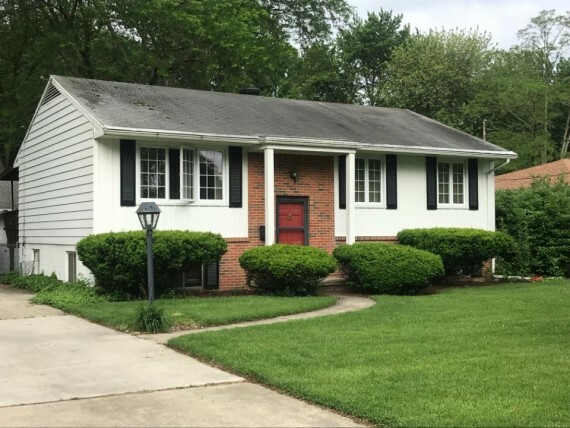 Past Real Estate Auction | 980 Maple St.
REAL ESTATE AUCTION: 980 Maple St, 5 bdrm Perrysburg, OH home, Minimum Bid only $150,000! 5 bedroom Perrysburg home with walk-out basement features spacious, drive-in out-building plus 2-1/2 car garage and park-like santuary backyard all located near downtown amenities. Plenty of room for entertaining, hobbies and storage. Don't miss out on this rare Perrysburg opportunity at auction! 10% BUYER'S PREMIUM WILL BE ADDED TO LAST BID TO ESTABLISH FINAL CONTRACT PRICE. $3500 DEPOSIT DUE IN FORM OF CASH OR CHECK IS DUE AT SIGNING OF CONTRACT IMMEDIATELY AFTER CLOSE OF AUCTION. IN THE EVENT BUYER DOES NOT CLOSE PER TERMS OF THE CONTRACT, THE DEPOSIT IS NON-REFUNDABLE. CLOSING MUST OCCUR WITHIN 30 DAYS OF AUCTION. PROPERTY IS BEING SOLD AS IS, WHERE IS WITH NO WARRANTIES, REPRESENTATIONS, OR GUARANTEES EXPRESSED OR IMPLIED AS TO THE QUALITY, CHARACTER OR CONDITION. NO CONTINGENCIES; PURCHASE IS NOT CONTINGENT ON FINANCING OR INSPECTION. BUYER MUST RELY EXCLUSIVELY ON THEIR OWN PRE-AUCTION INSPECTION OF THE PROPERTY. ANNOUNCEMENTS MADE DAY OF AUCTION TAKE PRECEDENCE OVER PRINTED MATERIAL.